Hiding behind science, the Alaska Board of Game continues to push an extreme agenda, one that is overwhelmingly biased toward hunters and trappers at the expense of our state's wolves and bears, no matter the circumstances. And despite the fact that the board's own "science" is sometimes suspect. The most recent example of the Game Board's narrow-minded — and, I would argue, regressive — approach to wildlife management came in Fairbanks, where in late February it unanimously rejected proposals to reinstate a no-kill wolf buffer on state lands that border Denali National Park. Though discouraging to many of us Alaskans who desire more balanced wildlife management, the Game Board decision was no great surprise. The fact that the board voted 7-0, with some members describing arguments to restore the buffer as purely "emotional," is telling. It wasn't so long ago — seven years — that a Game Board-approved buffer zone was in place, intended to protect wolves that primarily inhabit Denali National Park but in winter sometimes follow prey onto adjoining state lands, where they may be — and have been — legally killed by hunters and trappers. The Game Board repeatedly approved buffers of various sizes and shapes between 2000 and 2008, and some sort of zone providing additional protections to "Denali wolves" existed for a decade. And when the board voted to eliminate the buffer in 2010, it did so by the narrowest of margins, 4-3, a decision fueled not by science but anti-feds fervor. Apparently, the reasoning and science that the board used in supporting a buffer the first decade of this century no longer applies. Of course the Game Board's buffer position has nothing to do with science. Not really. 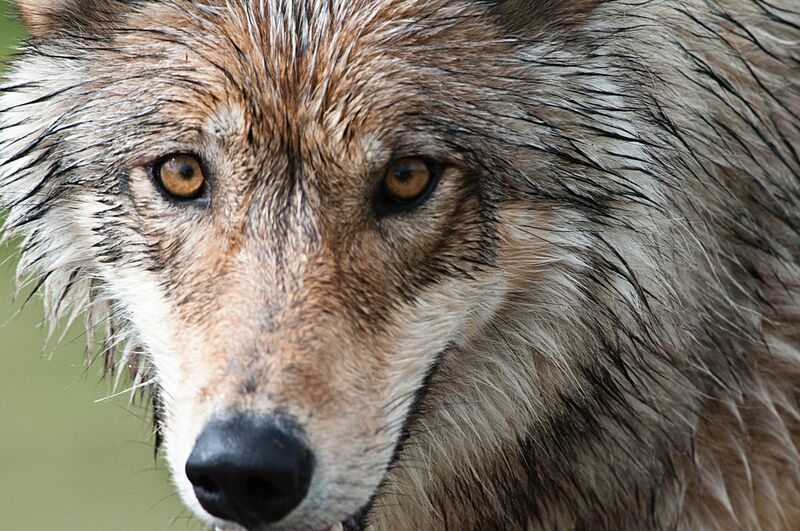 The state's primary scientific argument is that regionally the wolf population is healthy. There's no "biological" reason to prevent hunters and trappers from killing a few Denali wolves (a term that many hunters, trappers and state's-rights advocates detest, because "they're Alaska wolves, dammit!"). Or so the reasoning goes. Yet that rationale ignores another biological reality: The killing of an alpha or breeding animal can disrupt a wolf family (or pack, if you prefer). Sometimes those families completely disintegrate, with remaining members dispersing. The sort of social breakdown that occurs when family leaders are killed (whether by humans or other wolves) is more commonplace than extraordinary in the world of wolves. In their critically acclaimed book "The Wolves of Denali," famed wolf researcher David Mech and his co-authors discussed at considerable length "the chaos and turmoil of the Denali wolf population." On an areawide population scale, biologists consider the breakdown of any particular family unit to be no big deal. But to the family and its members, the impacts can be enormous. This was one of the chief insights and arguments made by the iconoclastic and controversial wolf researcher/activist Gordon Haber (who died in 2009). Haber was most concerned about the well-being of Denali's Toklat/East Fork wolves, which he — and Adolph Murie before him — had studied across decades. Besides being emotionally attached to those wolves, Haber struggled mightily to preserve them because of their scientific value. While many biologists have challenged and in some cases dismissed Haber's work and theories, some wildlife scientists have found considerable merit in his ideas. In a great and sorrowful irony, the Toklat/East Fork wolves have been among those hardest hit by trappers and hunters in the boundary lands outside Denali National Park. The family is all but gone now, unless a lone remaining female finds a new mate, at least partly (if not largely) because key members were trapped or shot when they roamed beyond the park. People can disagree about the Toklat/East Fork's legacy but there's no argument it was Denali's longest-lived and most intensely studied family unit of wolves. Its disintegration is a significant loss to those who believe such things matter. It's also sadly ironic, for those Alaskans who care about wolves and love seeing them in the wild, that the two most highly visible family groups of Denali wolves of recent decades — the Toklat/East Fork and the Grant Creek packs — have been among those most devastated by the few people who trap and shoot wolves just beyond the park's boundary. Many buffer proponents have noted the substantial drop in wolf sightings by Denali visitors since the buffer was eliminated in 2010. I would argue that decline has little to do with changes in the park's overall wolf population but rather is directly tied to the disintegration of families that once denned near the road and whose members had become highly habituated to people (and vehicles). Which brings me to this point: While Game Board members invariably emphasize the health of wildlife populations in making their decisions, in some circumstances they would best do their job by considering the well-being — or conservation, if you like — of individual animals. As I wrote to the board before its Fairbanks meeting: The Alaska Game Board and Department of Fish and Game often like to say that wildlife conservation is their primary concern and objective. This (Denali) is a place where the Game Board can help to conserve wildlife — specifically wolves — that have great value to many people as wild, living beings. The proposed buffer area is one of the very few places managed by the state — the McNeil River bear sanctuary being another — where the protection of individual animals can make a huge difference and where the Game Board can make a decision that benefits wildlife watchers and others — many of them Alaskans — who place great value on the ability to share wild landscapes with living animals, not to kill them. Yes, there is an emotional element to this argument. But there is also a scientific basis — a biological rationale — for it, given what we know about the social behavior of wolves and the proven potential for the trapping or shooting of key individuals to disrupt or even destroy family units. But the Game Board's recent decision — like many before it, when the board has been asked to consider values different than its own — was not really about science. Nor was it about the Game Board serving the broad community of wildlife enthusiasts in Alaska. For far too long, the Game Board has catered to, and been the champion of, a narrow (and diminishing) slice of Alaskans, people mostly concerned with trappers', hunters' and big-game guides' "rights." The board's 7-0 Denali wolf buffer decision is further evidence that it's a lopsided special-interest body that no longer even cares about the appearance of being balanced. Which of course it hasn't been for many years. When it comes to wildlife management in Alaska, the system is indeed rigged. Anchorage nature writer Bill Sherwonit is the author of more than a dozen books, including "Alaska's Bears" and "Animal Stories: Encounters with Alaska's Wildlife."